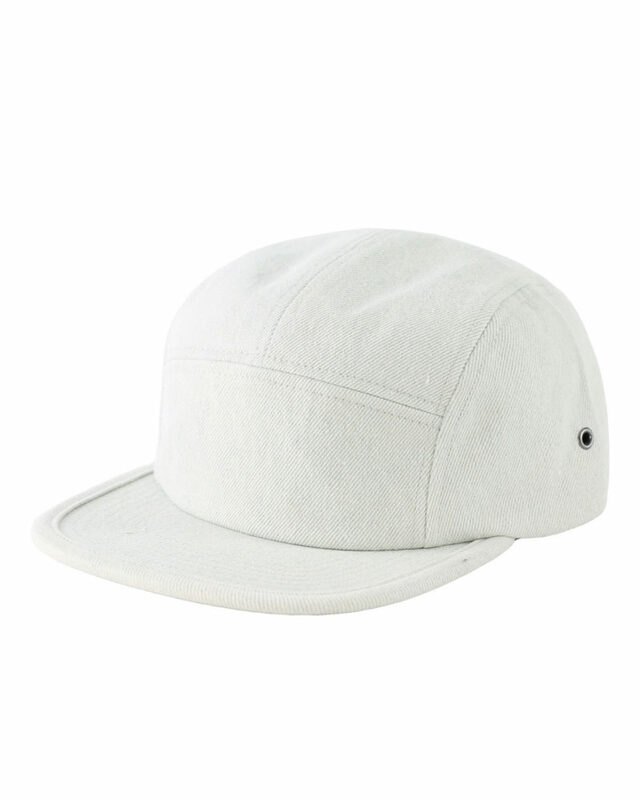 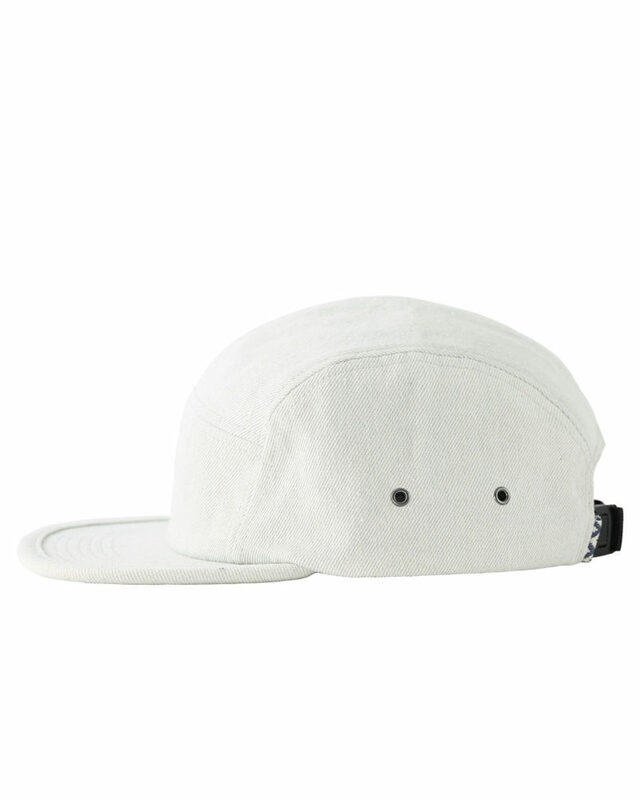 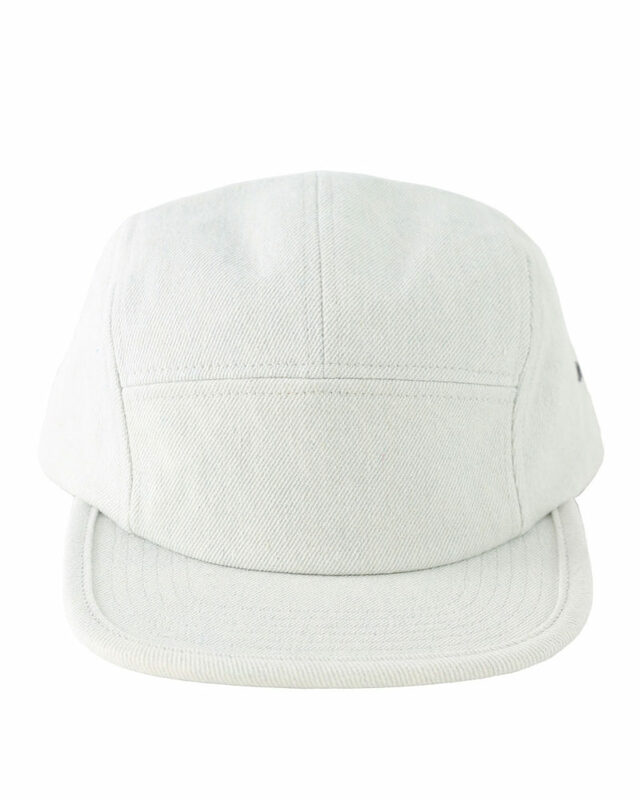 "Runner" Adjustable 5panel flat brim runners cap. 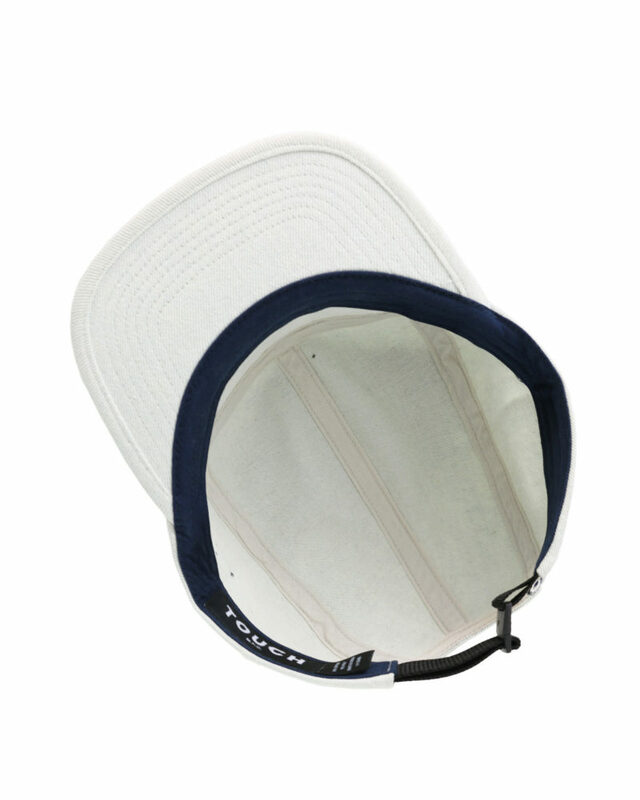 This style comes in a low profile crown height of 8.5cm and has .25" self fabric brim taping along visor edge. 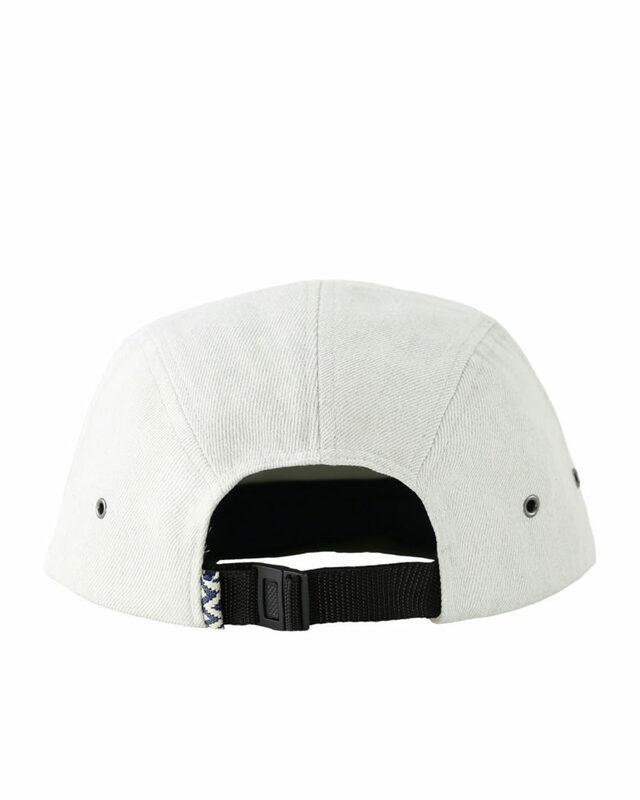 Back adjuster is black nylon webbing with a plastic release clip.